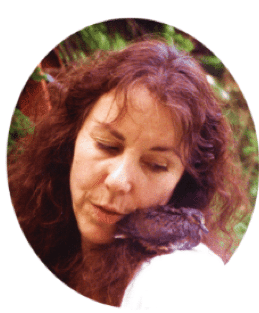 Animal communication work breaks down into a few categories, missing animals, those who have crossed over and animals that would benefit from psychic insights. This work grew serendipitously, through my own attachment to some furry, finned and feathered friends. Sessions are done in paddocks, barns, homes, at my home, phone, skype, FaceTime or Zoom. It truly depends on the need and availability of time. Workshops, classes and more private sessions are available through emailing nancy@nancyorlenweber.com. Groups interested in learning? Contact my office about hosting a group workshop. Here’s one letter that touches my heart. Most of the cats, dogs, horses and birds I meet go on to have healthier and fuller lives. Once in a while, beautiful dogs like Natasha ask to see me to be able to improve the quality of their life as they are leaving. We all have to learn how to say good-bye. Carol had lovingly said good-bye to Natasha many months after this letter arrived. I want to thank you for the session that you did this past April 3 with my dog, Natasha, and myself. Before the session, I felt that the end of her life was near and was seeking help in saying good-bye to her. During the session you communicated to me for her that she was NOT ready to go, yet. After the session, she really "came back to life" (ironically on the day before Easter!!) and we have had (and continue to have) a richer, deeper connection than ever before. And she wasn't the only one that changed!! She continues to suffer from the crippling Degenerative Myleopathy; she has good times and bad times and is progressively but slowly losing her physical abilities. I have learned so much about how to care for her physically AND nurture her spirit (and let her nurture mine). I greatly appreciate what you did for us. A shortened excerpt from the forthcoming EBook "The Gift of Interspecies Communication" and some tips can best explain some of the work with animals. A call came in from a woman in Maryland about a missing dog named Bunny. I answered, "The first thing I see is Bunny in Virginia. I see her being taken in a station wagon. There are two men in it. They feel like they just pulled a robbery. She is with a man with a shotgun. He is scuzzy looking. I see him on top of a hill." "That's impossible. My car was stolen, but she's definitely not in Virginia. I live in Maryland, but I'm not near Virginia. That's quite a run. She can't be there. Please, I need your help. Can't you tell me anything else." " You had a station wagon?" " Then I do see it. It's the first town over the border, going directly south from you. I can only tell you what I see. Bunny is a large German Shepherd isn't she?" "Then it's her I'm seeing. Call me back when you get any lead or just to talk. I'll see if more comes." The call came the next day. Breathless with anxiety Sue began, "Bunny was seen in a station wagon heading south after a robbery with two men driving. The police think they were heading toward Virginia. How did you know? When will they find her? Is she okay?" "Yes, Bunny is not hurt, but she'll be hungry and scared. I don't see the men harming her." "I'm traveling there with my mind; that's how I can tell. Sue, I've been like this ever since I can remember. I'm so glad Bunny has you. You must love each other very much. Thanks for calling and keeping me informed. I'll be praying for her. Keep sending her loving thoughts. Keep your fears away from your thoughts of her. It's important. She's very telepathic; loving you, she is very sensitive to your thoughts." "But how am I ever going to get her back? Where is she? She can't be in Virginia." "Why don't you send me a photo of her. In the meantime, until I get it, please work on letting some of the fear abate and remaining open to the possibilities I'm seeing. I could be wrong, I know, but I could also be right. Call me in a day or two." The photos were on my desk two days later when her call came. "Hi, Sue. Okay, this time I see her by railroad tracks. Wait a minute; I think I feel a name coming...Harper's Ferry, West Virginia. Isn't that a movie or something?" "Yes, hold on there are more images coming. I'm waiting for them to clear." The images were barely there. They were like looking through a long tunnel to see a speck of something, only you know the speck is the key to a mystery and it's important to get a detail shot and somehow enlarge it, translate it into common sense and be right. "There are mountains and water nearby. She's on a mountain, alone. She's waiting for you. You can find her. Sue, you are going to see a truck, wooden sides, color green, and there's a bandanna on the seat." "Is that where Bunny is?" "No, but it's a clue to tell you that you are on the right track. I think she is by the railroad tracks near the mountain. Poor girl, she misses you. You've been sending her a lot of good messages. I can feel her being comforted." Sue called back with the good news after going to Harper's Ferry. Bunny was in her arms again. When an animal is missing I either work over the phone or go to the last place the animal was seen. Sometimes the animal is never heard from again and we have no idea if what I have been seeing is true. This is definitely a difficult task as missing animals are usually moving around. Hopefully you will never need this particular aspect of my work.